GE’s new additive manufacturing (AM) facility is located near Pittsburgh, Pennsylvania. GE has celebrated the grand opening of its new additive manufacturing (AM) facility located near Pittsburgh, Pennsylvania. The new facility represents a US$39 million investment over three years and will result in the creation of 50 engineering jobs initially, in disciplines ranging from mechanical and electrical to systems and software engineering. The site is intended as an innovation hub offering training and development in both design and applications. At the same time GE launched a white paper entitled ‘The Future Workforce: Advanced Manufacturing’s Impact on the Economy,’ covering advanced manufacturing’s positive impact on jobs and in shaping the future of work. GE marked the occasion with a program attended by GE chairman and CEO Jeff Immelt, GE chief productivity officer Philippe Cochet, representatives from America Makes, government officials and customers. The facility will combine manufacturing with software analytics to improve capabilities and usage of additive manufacturing across GE while improving materials sciences and inspection technologies. This story uses material from GE, with editorial changes made by Materials Today. The views expressed in this article do not necessarily represent those of Elsevier. 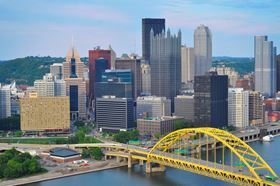 GE has opened its first additive manufacturing (AM) center in Pittsburgh, Pennsylvania, USA, contributing 50 jobs to local economy. GE Additive has opened its first ‘Customer Experience Center’ in Munich, Germany.